HOURS of OPERATION: Tuesdays & Wednesday 2-6p m Saturday 9am -1pm (2nd & 4th Saturdays ONLY) Hours are subject to change depending on facility use. There is no residency requirement and the facility will accept materials from any location. For those planning on recycling an unusually large load, please call first so accommodations can be made. In order to best serve the public, please be aware the recycling center is under 24 hour video surveillance and anti-dumping regulations will be enforced. 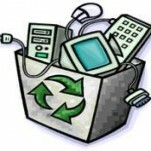 FEE: There is a fee of $0.50 per pound of electronics recycled will be charge. Cash and Credit card payments will be accepted. Fee are subject to change as the County monitors the collection process. All questions should be directed to Cumberland Country Recycling & Waste by calling 717-240-6489, Monday – Friday from 8am to 4:30pm. Click here for there website. UPDATE: We are noticing is some people are disassembling their TV’s and just bringing us the tube to try and “save” money. We might want to put out information discouraging this practice. Not only is it dangerous (risk of getting shocked), but our contract DOES NOT allow for bare tubes. Transportation is the reason. It is near impossible to easily package bare tubes in a manner not conducive to breaking during transportation. 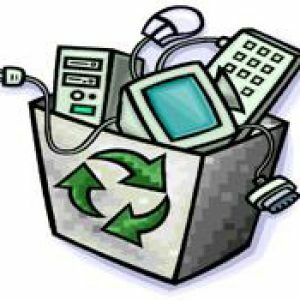 New State Law Requires Recycling of Computers, Computers Monitors, Televisions and Other Electronics Devices: Beginning January 2013, landfills other other slid waste disposal facilities in PA will no longer be allowed to accept old computers,TV sets or computer peripherals (such as printers, keyboards, mouse, Scanner). Many of these products contain heavy metals such as lead, cadmium and mercury as well as other materials that are better kept out of the environment. These items can no longer be placed in your trash. The Cumberland County Commissioners made the decision to open the facility in response to citizens’ calls concerning the need for electronics recycling options. Residents have become innocent victims of Pennsylvania’s electronics recycling law, which has failed to provide the convenient, manufacturer funded electronics recycling opportunities many thought it would. Coupled with a disposal ban, the law has unintentionally left residents with very few options for disposing certain electronics, especially televisions.